You always hear me say that it’s an honor to be asked to offer beauty testimony for magazines. When your industry peers select you for your actual makeup artistry, your celebrity resume and not your follow & likes counts it means a lot. So when Closer Weekly magazine Assistant Beauty Editor Lauren asked me to participate in her upcoming article on “What’s Her Secret” I was elated about it. 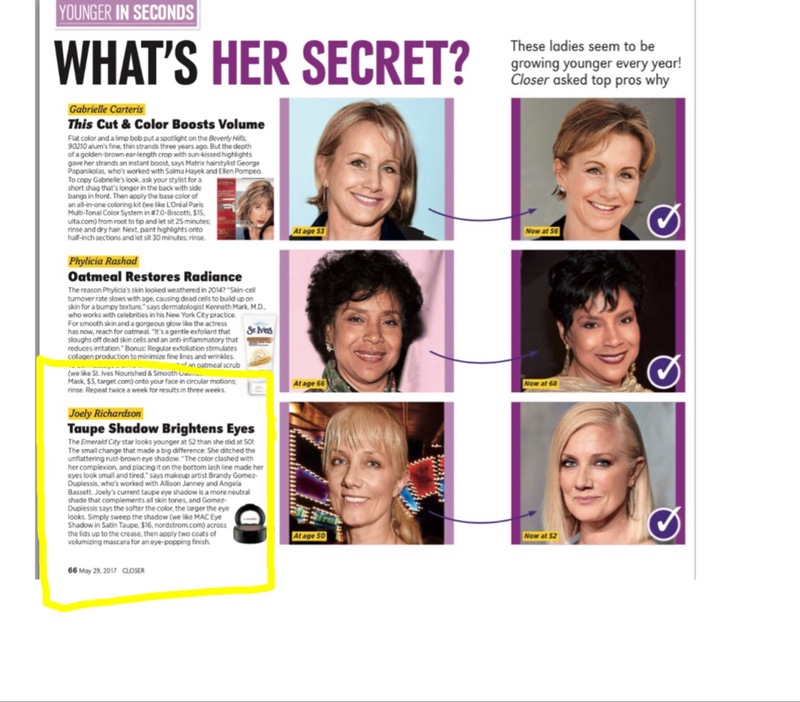 I was asked to give a beauty quote on actress Joely Richardson makeup look and how wearing a certain eye shadow shade to look younger in seconds. The current issue is on the newsstand today.